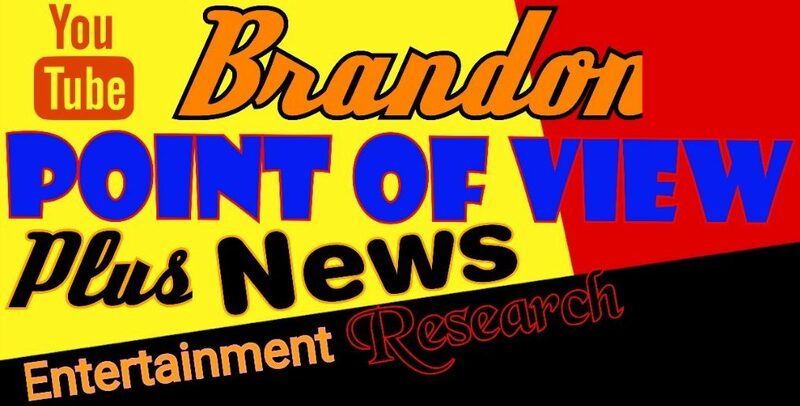 Point of View Entertainment and Research +News – This happening for more great post and News coverage and More game Play. Hello my name is Brandon Vaughan and i’m the creator of this Blog and this is where i make a point of view for all the public to see. I will give you all my opinion on the subject matter that is most important to me in regards to the Friday. I love to make each subject about a conversations for everyone who read this blog and im very proactive on YouTube with some show that i am host including my WWE Universe Mode 2K18 video Game . 1. I am here teach all of you the best of life many offering including the best way to have point of view, weather you accepted it your choice because i wont make insight to why to ask you but i will do my best to ask the questions that are wanting to get the answer. 2 I share common sense about making legit media reporting . In this i am looking to close down the uncommon sense media stream. Close out unfair media and unbalance media streams of information what i am i here to basic create and shutdown the balance of media reporting. 3. Making sure Fake Media get the real information and is reporting with open mind and real clear media poll that share a honest and real reporting going report forward.. I am creating real goals for this blog and i want bring balance media and real media buzz going forward and create YouTube Channels that share a 24 hours and 7 days a week stream and with i wanna to give the people power of choice but im wanna to generate real family videos and using the power of social media to share in live streams television though YouTube and i will be presenting this to give one channel for good entertainment..
First Goal building a team to create the best in Entertainment and having media level of business and media level of Economic Entertainment and sharing public choice media and show that their is Enhancing Entertainment media.